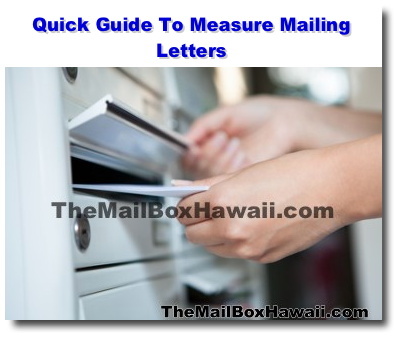 Here are some quick measurements on acceptable mailing sizes when mailing letters via the United States Postal Service. Once a piece of mail exceeds the maximum length, height, or thickness of one shape, it automatically gets classified as the next largest shape and it's equivalent postage. Also, large envelope prices will be applied to letter-sized items over 3.5 ounces.